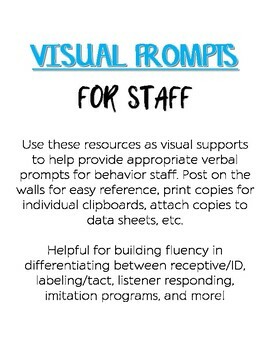 Use these resources as visual supports to help provide appropriate verbal prompts for behavior staff. Post on the walls for easy reference, print copies for individual clipboards, attach copies to data sheets, etc. 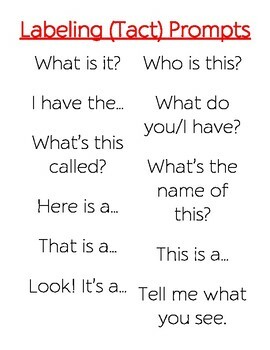 Helpful for building fluency in differentiating between receptive/ID, labeling/tact, listener responding, imitation programs, and more!